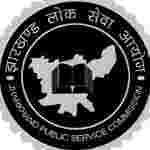 JPSC recruitment 2018 notification has been released on official website www.jpsc.gov.in for the recruitment of 04 (four) vacancies for Professor (Backlog). Job seekers should apply on or before 23rd January 2018. Here on this page you will get the details like the Name of vacancies released by JPSC with exact number of posts. Some other criteria like Education details, application fee and way to apply application for JPSC recruitment 2018. Educational Qualification: BE/ B.Tech with ME/ M.Tech first class in BE/ B.Tech or ME/ M.Tech with Ph.D or equivalent. Age Limit: The age of candidate should be between 40 to 57 years as on 01.08.2015. Fee charges: Applicants who wanted to participate for JPSC should pay the below charges through Debit or Credit Card / Net Banking or Challan. Interested and eligible aspirants should apply in prescribed application form along with self-attested copies of all certificates send to Controller of Examination, Jharkhand Public Service Commission, Sercular Road, Ranchi 834001 on or before 23.01.2018.